"Adult tickets $19! Kids from $10." 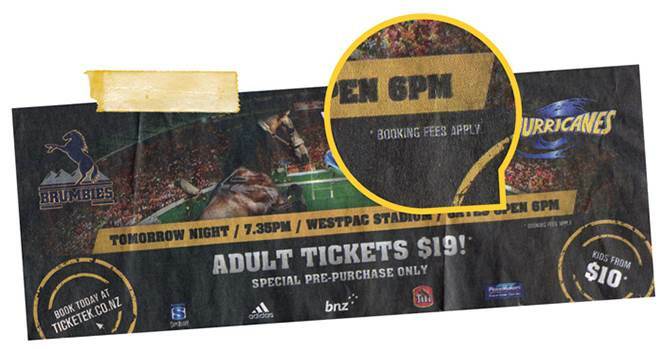 That was the "special" pre-purchase price advertised for seats to a game at Wellington's stadium. Squint and you could make out the words "booking fees apply". These fees meant you couldn't buy a ticket for the price claimed. It's been dubbed "drip pricing" – the practice of adding extra fees to the advertised price of goods and services. Ticket touts aren't the only offenders. 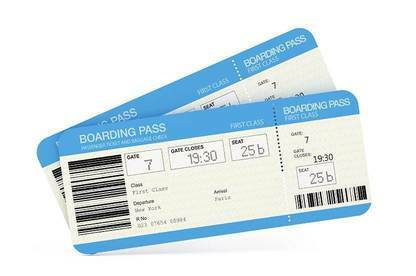 Travel companies often add hidden fees to advertised airfares. On top of the $299 headline price for a flight from Auckland to Rarotonga, Harvey World Travel charges a $24.95 online booking fee per person. Rival House of Travel charges a $14.95 per person online booking fee for a flight to the same destination. 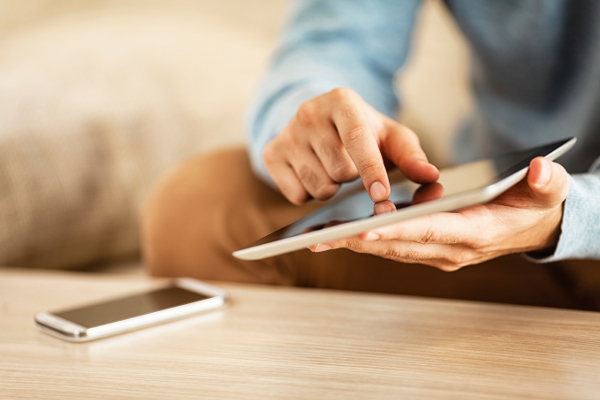 You may not discover these types of add-ons until you've trawled through the fine print. And if you're buying products online, the extra fees and charges may not be revealed until you've almost reached the end of the payment process. Companies use drip pricing because it makes consumers more likely to buy. Research by Vicki Morwitz and Shelle Santana from New York University has found consumers are more likely to buy when the headline price excludes mandatory fees. Conversely, they're less likely to purchase when fees are disclosed up-front. A 2011 report by the UK Office of Fair Trading (OFT) also points to "a compelling range of evidence" that drip pricing reduces the extent to which consumers shop around because it makes comparing full-price offers more difficult. By the time the extra fees are revealed, consumers are also more likely to be committed to the deal. While drip pricing isn't new, it's becoming increasingly common. The Commerce Commission says there's a "growing trend" for traders to separate out additional charges from the headline price, creating the impression that products are available more cheaply. The commission has identified drip pricing in the promotion of airfares, motor vehicles, rental cars and telco services. It’s found that "in some of these areas significant costs continue to be separated off from the headline prices, complicating consumer decisions". A favourite of car dealers is to advertise new vehicles at prices that exclude compulsory on-road costs. These costs, which include paying to register the vehicle for the first time, can add hundreds of dollars to the purchase price. 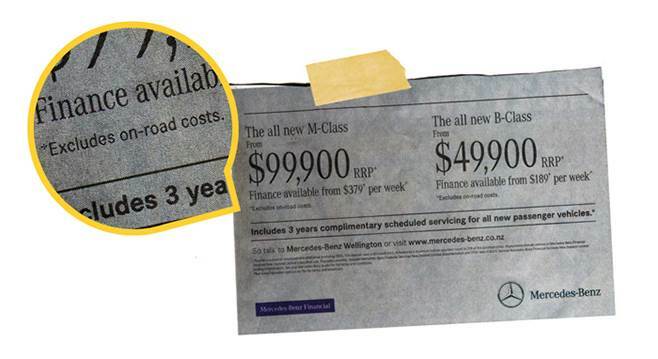 A 12-month registration fee for a petrol-driven 2000cc car is $431.06; a diesel vehicle costs $560.92. On top of that, you may be up for road-user charges if you're buying a diesel car. If you pay for products with a credit or debit card, you could also face extra charges. Since Air New Zealand introduced its card-payment surcharge in 2010, the fee has doubled from $2 to $4 per passenger for each one-way domestic trip. Jetstar has increased its charges from $2 to $5 over the same period. Both airlines levy higher card-payment fees for international travel. Until 2009, a "no surcharge rule" prevented retailers from passing on fees they were charged by the banks for card transactions. But after the Commerce Commission brought proceedings alleging anti-competitive arrangements, the credit-card companies and banks agreed to withdraw this rule. The demise of the no-surcharge rule was expected to reduce costs to consumers as card issuers would come under pressure to lower their fees. However, price reductions haven't necessarily been passed on to consumers elsewhere. Australia ended its no-surcharge rule in 2003. But the Reserve Bank of Australia (RBA) has found a "surprisingly high" number of retailers have responded by charging excessive fees. RBA figures show that card surcharges have been increasing even though merchant fees – the amount the retailer pays to their bank – have dropped. According to the RBA, the average merchant service fee for Visa and MasterCard is around 0.8 percent but the average surcharge is closer to 2 percent. This has led to concerns that the surcharges are being used for revenue gathering rather than to cover costs – and the RBA has now announced rule changes to limit both credit- and debit-card surcharges to the "reasonable cost" of card acceptance. 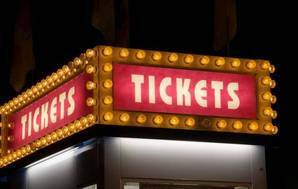 Ticket agent Ticketek applies a card-processing fee of between 2.45 to 2.6 percent for certain events. Ticketmaster charges a fee of up to 2.3 percent for selected events. Both also charge a separate "transaction fee" for bookings. The Commerce Commission says it's begun work to evaluate the impact of changes to the MasterCard and Visa card schemes since the settlements reached in 2009. The Fair Trading Act prohibits misleading representations about price. But the Act hasn't been effective at regulating drip pricing. We believe "all-inclusive pricing" rules are needed. All-inclusive pricing would force companies to disclose the full purchase price upfront. Australia already has these provisions. Companies there are prohibited from advertising a component of the price without prominently showing the total amount the consumer has to pay. Law changes due to take effect in the EU in 2014 will also require traders to clearly disclose the total cost of the product as well as any extra fees. In addition, surcharges for credit- and debit-card payments will be restricted to the actual cost of card acceptance. We'd like to see the same rule here. At present, there are no specific regulations governing card-payment fees. Above and below, fees mean you can't buy a ticket for the price claimed. Below, a favourite of car dealers is to advertise new vehicles at prices that exclude compulsory on-road costs. Below, extra fees and charges may be waiting in the fine print when making website bookings. Price is a key factor in consumers' purchasing decisions. But drip pricing misleads consumers about the real price they have to pay. "All-inclusive pricing" rules are needed to clamp down on these practices. Retailers need to be upfront about credit- and debit-card surcharges. The consumer’s costs should be the same as the seller’s costs for accepting card payments. Otherwise, sellers are just double-dipping. Telcos are notorious for it – using pricing that's so confusing you almost need a maths degree to work out if you can get a better deal by switching. It's a state of affairs that's been dubbed a "confusopoly". Former Telecom CE Theresa Gattung famously talked of employing confusion as a marketing tool. A revised Telecommunications Consumer Protections Code in Australia is attempting to tackle the problem by requiring telcos to display "unit prices". From this year, most print ads for mobile phones will have to display standard charges for a two-minute national call, a standard text and 1MB of data. From March 2013, telcos will also have to provide potential customers with a two-page "critical information summary" setting out key terms and conditions, including standard charge information. The code has been revamped following a public inquiry by the Australian Communications and Media Authority. The authority expects the code will provide better protection for "long suffering telco consumers". Long-suffering consumers on this side of Tasman would benefit from similar protections. Our members share their experiences of misleading pricing. 12 August 2013 An ad for tickets to a Hurricanes v Highlanders game in Wellington in July 2013 has brought new meaning to the words "fine print". Read more. 30 May 2013 Anyone who wanted to see the Warriors vs Bulldogs game in Wellington last month would have found it impossible to pay only the advertised $25. Read more. A night at the opera or a day at the music festival will cost more than just the advertised ticket price.